Susan Gallo, M.D. • Patricia Grantham, M.D. • KayCee Gardner, M.D. Please note that drug testing through UWSOM is required at Billings Clinic Miles City. Please visit UWSOM Compliance/Drug Testing for more information. 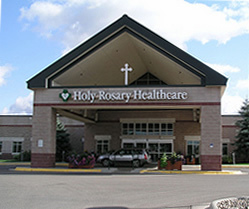 Holy Rosary Healthcare is a comprehensive acute-care hospital in Miles City th at serves an 11-county region of eastern Montana. 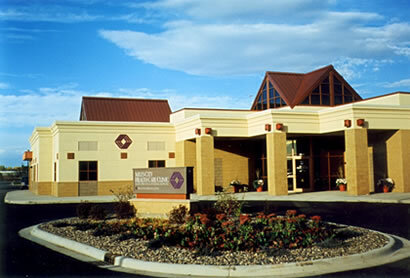 it includes physician clinics, a residential living community, hospice and palliative care services. Miles City was, and sometimes still is – the real Frontier. August 1876 marks the end of thousands of years of wilderness history and the beginning of Wild West history. Miles City was at the epicenter of this history and has been immortalized by authors and historic characters alike. Miles City offers a lifestyle that most people only dream about. It has become the perfect blend of “Old West” and “Up Scale”. We hold true to our roots in the western culture, but we also possess the newest in computer technology. Miles City’s internet service is some of the best in the Northwest making business opportunities available to all kinds of operations. Sitting pretty along the vast Montana plains and badlands, with the Yellowstone and Tongue rivers flowing forth, Miles City still retains the air of an old Western town. With its weekly livestock auctions and its annual Bucking Horse Sale for rodeo breeders and stock buyers, the town is a great destination point when planning your vacation travel. Make sure to stroll down the main street, where the 1950’s come alive. Visit the 1930’s era high school as well as the saloon, renovated to its original 1900’s style. Outdoor activities in Miles City are abundant. Fishing, hunting, bird watching, rock collecting, golf, or just taking a walk along the river can all be done within minutes of Miles City. We also throw some great events here. The World Famous Miles City Bucking Horse Sale makes Miles City the rodeo capital of the world each third full weekend in May. Throw in the Bluegrass Festival in September, The Christmas Stroll, and other cultural events and you will see that there is always something to do in Miles City. The Water Works Art Gallery also holds art and pottery classes. The Range Rider Museum hosts outdoor concerts during the summer. The community garden is located near the hospital. The Yellowstone River and Tongue River are both located just outside town-good for fishing, floating, boating, hiking. The 12-Mile Dam on the Tongue River is a good place for fishing, camping, floating. Spotted Eagle, a small lake on the edge of town is great for fishing, swimming, kayak, paddle boards—no motors allowed. The Miles City Town & Country Club has a nice golf course. Go there in the winter for snowshoeing and cross country skiing. 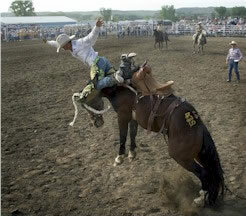 The rowdy Bucking Horse Sale falls every year on the 3rd weekend in May. The Strawberry Hill Recreation Area just outside Miles City offers hiking, biking, sledding. Barn Players is a local theater group that puts on about four fantastic plays a year. Big Horn Canyon – smaller than the Grand Canyon but amazing to see by boat (3 hours to the boat dock). Go there for fly-fishing on the Big Horn River below the dam. Cabins to rent or camp grounds available. The Tongue River Reservoir is a good boating, fishing, and camping destination…less scenic than the Big Horn Canyon but still a fun time. Amtrak train-drive to Wolf Point, MT- (2 ½ hours) get on train to Glacier National Park or go the other way to a Packer’s game! The average temperature in Miles City, Montana, Usa is 7.6 °C (46 °F). The average temperature range is 33 °C. The highest monthly average high temperature is 32 °C (90 °F) in July. The lowest monthly average low temperature is -15 °C (5 °F) in January. 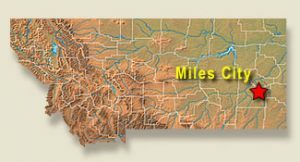 Miles City, Montana’s climate receives an average of 309 mm (12.2 in) of rainfall per year, or 26 mm (1.0 in) per month. On average there are 86 days per year with more than 0.1 mm (0.004 in) of rainfall (precipitation) or 7.2 days with a quantity of rain, sleet, snow etc. per month. The driest weather is in January, February, November & December when an average of 10 mm (0.4 in) of rainfall (precipitation) occurrs. The wettest weather is in June when an average of 69 mm (2.7 in) of rainfall (precipitation) occurrs across 11 days. The average annual relative humidity is 52.1% and average monthly relative humidity ranges from 36% in July & August to 69% in January & December. Average sunlight hours in Miles City, Montana range between 4.0 hours per day in December and 12.5 hours per day in July. There are an average of 2891 hours of sunlight per year with an average of 7.9 hours of sunlight per day.